17 must-know nuggets about Lagos-Ibadan Expressway! Do you know the Lagos-Ibadan Expressway is the oldest one in Nigeria? Do you know its reconstruction costs ₦167 billion? What's more about the arterial road? The Lagos-Ibadan Expressway was 41 years old as in August, 2019. It was constructed in August, 1978. The Lagos–Ibadan Expressway has a measured length of 127.6 kilometers. The original road was 115 kilometers long. Did you know there are two distinct axes or parts of the LIE? Section one begins at the old toll gate beside Oregun Motorway or Ikosi and runs up to Shagamu Interchange in Ogun state. This is a journey of 43.6 km. Section two takes off from Shagamu but ends in Oyo state, in Ojo. This part of the road has a total length of 84 km. Olusegun Obasanjo, as Military Head of State commissioned the original construction of the Lagos-Ibadan Expressway. 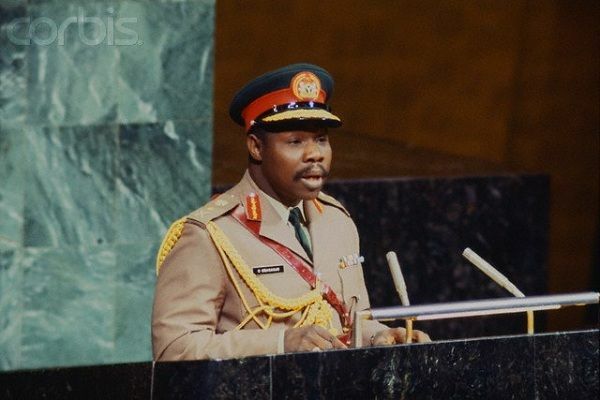 This was way back in August, 1978, on the eve of his stepping down from office for Nigeria’s Second Republic. At the time, the move was hailed across the country as one that would tremendously improve travel time to Lagos from everywhere in the country. Originally, the length of the road was 115 km. 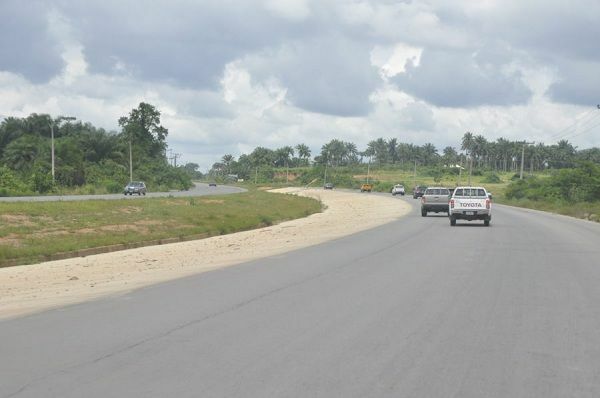 The government of President Goodluck Jonathan flagged off a major reconstruction of the road in July, 2013, some 35 years after its first construction. The contract sum was pegged at a mind-boggling 167 billion Naira. The critical federal artery had fallen into serious repair over the course of three decades, making a total overhaul necessary. The construction work was expected to be finished in 48 months. Before the Lagos-Ibadan was constructed in August, 1978, travel to Lagos from various points across the country was a more lengthy process. 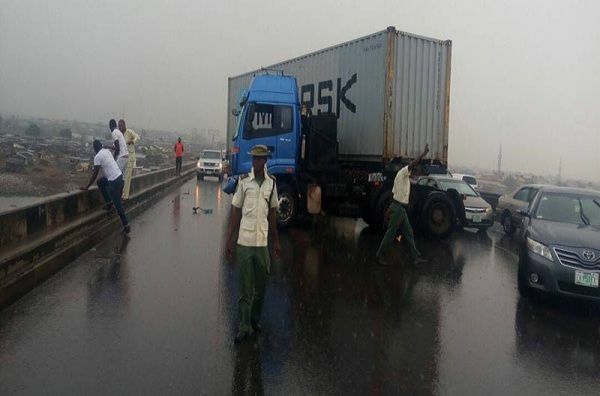 Travelers had to choose from the Shagamu-Ijebu Ode-Lagos route, which was commonly regarded as hazardous due to its winding nature, or alternatively, the Abeokuta-Sango Ota-Lagos road. Today, the journey from Ibadan to Lagos takes between 45 minutes and 1 hour. In the days before the LIE, the same journey would have taken more than four hours. The Lagos-Ibadan road is Nigeria’s busiest inter-state thoroughfare. The expressway daily records an estimated PCU, or Passenger Car Units of 250,000. This in effect makes it one of the most used road networks in the African continent. Lagos is Nigeria’s economic and commercial capital, and also hosts the countries busiest port. 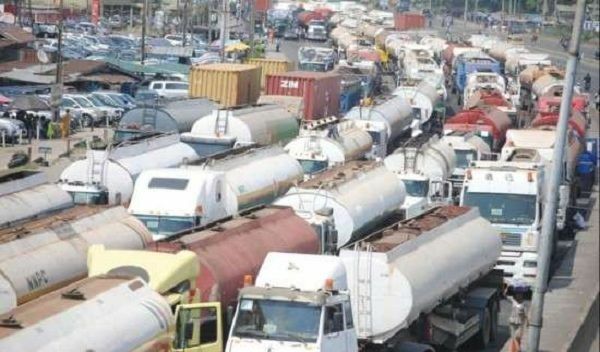 The LIE therefore plays a critical role in connecting Lagos to the rest of Nigeria, and thus facilitates international trade. It serves as the gateway into Nigeria’s biggest city. The Lagos-Ibadan Expressway formerly had 3 tolling booth stations along its length. The government of Head of State Obasanjo planned that this would help to finance the road, and its maintenance. The toll booths were decommissioned when President Obasanjo again came into power as civilian president in 1999. There are currently plans by the Muhammed Buhari administration to reintroduce tolling booths, in order to pay for ongoing work at reconstruction and rehabilitation. When completed finally, the LIE (Lagos-Ibadan Expressway) is designed to be a 10-lane carriageway. This is expected to adequately cater for the usually large volume on the road. Also, there is a plan to build trailer parks along the route, which will be used to accommodate off duty trailers at a cost. Julius Berger, Plc and Reynolds Construction Company, Ltd are the official contractors for the reconstruction of the LIE. 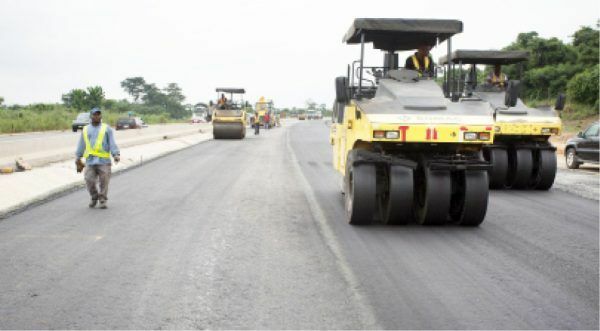 Nigeria has expended more than N1.05 trillion constructing and maintaining roads from between 1976 to 2012. 34% of this budget is utilized on federal roads network. Out of this, the Lagos-Ibadan Expressway accounts for a good chunk. To reconstruct the road in 2013, the contract sum awarded was nearly $900,000,000 or 167 billion Naira. The Lagos-Ibadan Expressway is the primary link to Lagos via Ibadan. It also links the nation’s commercial center to other parts of the north, south and east of the country. The Federal Roads Maintenance Agency, (FERMA) is the governmental agency in charge of the Lagos-Ibadan Expressway. FERMA also supervises, maintains, and regulates all other federal roads. The actual agency in charge of regulating traffic and road use is the FRSC, the Federal Road Safety Corps. FERMA uses a Public Private Participatory Road Maintenance Program to raise funds for its functions. The Expressway has been known to be the scene of some bad accidents. 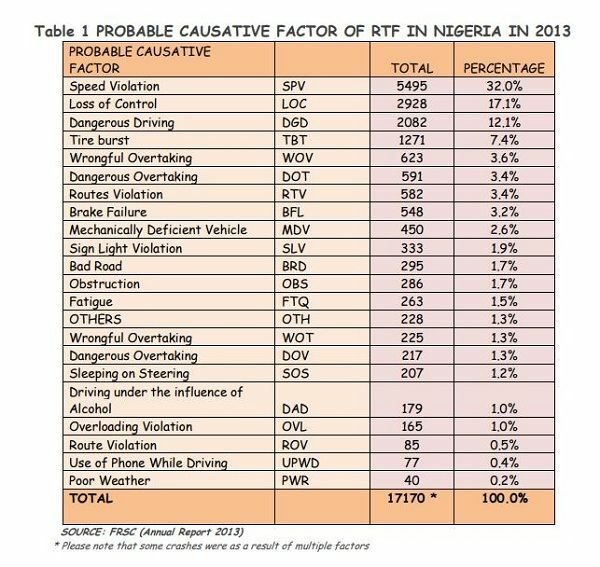 Many blame the bad condition of the road for this, but according to FRSC figures, bad roads cause only 1.7% of road accidents in Nigeria. The construction of the Lagos-Ibadan Expressway has seen some controversy in the past and even currently. It is generally opined that succeeding governments have only paid lip service to maintain the road in good conditions. Also, the cost of maintenance has been known to balloon frequently beyond the initial figures. There is also some inferences that the currently ongoing construction is more of a re-surfacing of the 1978 road, than an actual reconstruction.